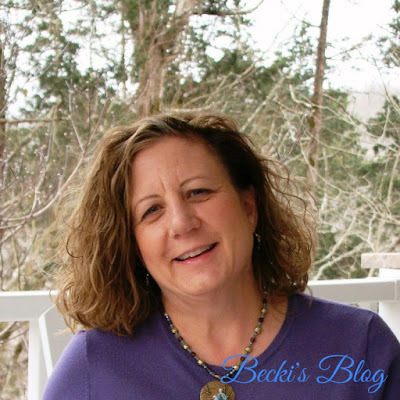 My first guest blogger is my step-mom, Becki. She started posting last year on her Facebook page reviews of the different restaurants that she went to and plans to start it back up this summer. Hope this helps anyone who lives in Central Kentucky or planning on visiting. Enjoy! 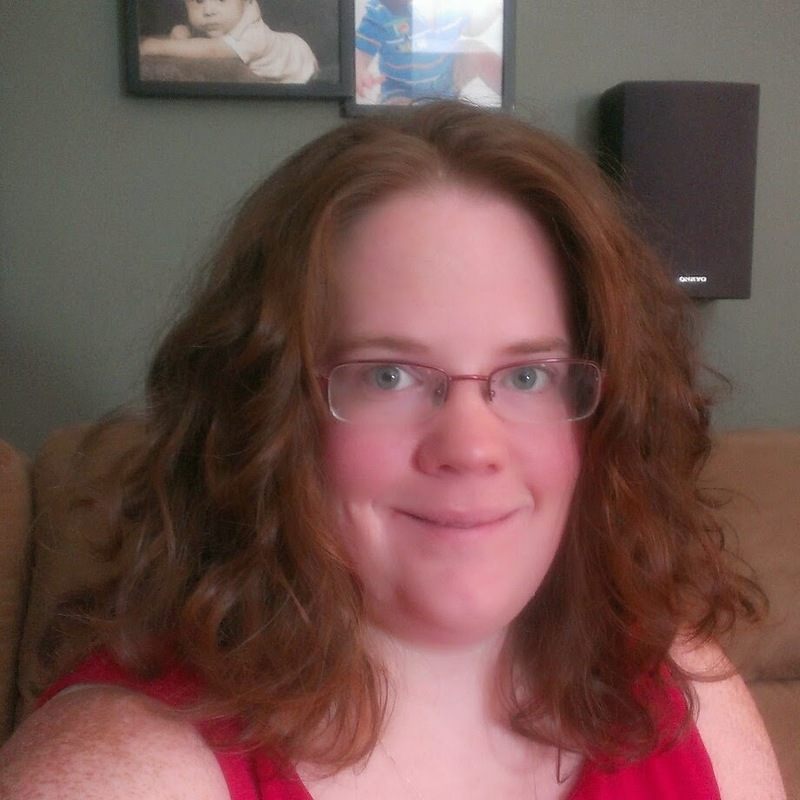 My friend Kim, who is a big movie buff, started her own blog to rate movies currently playing at the local theaters. I am not a movie goer, but I am a big Foodie. Friends will typically ask me for restaurant recommendations and I frequently find myself in disagreement with the local restaurant reviews in the newspaper, so I got the idea that I would start my own Restaurant Reviews – Becki’s Blog. Because I have a daughter-in-law with Celiac and a really good friend who is Vegetarian, I will try to point out whether those options are present when I review a restaurant. So…..let the dining begin! The occasion was my anniversary dinner with my husband. Since Coba Cocina is new, we had heard rumors of two hour waits, especially on weekends and during peak dinner times. Thus, we opted to arrive a little early (5:30) on a weeknight (it was our actual anniversary date). There was not a wait when we arrived, but it did get very busy about 6 pm. Part of the attraction at Coba Cocina is the building. It is a very unique design with a “loft” like space for Tapas and bar dining, a separate section with an outside entrance for their bakery/gelateria, and the main dining space where the centerpiece is a two story tall aquarium full of jellyfish – supposedly the largest private aquarium of its kind in the world. 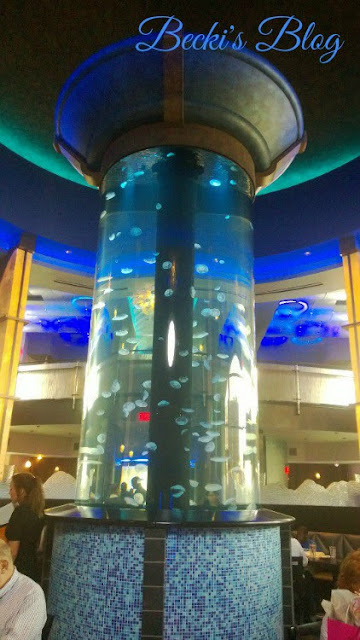 To my dismay, even though the restaurant was not crowded when we arrived, we were seated as far away from the jellyfish tank as possible, with a view of the parking lot. Not a good start. Once seated, guests are served a basket of tortilla chips and salsa – typical for most Mexican restaurants. Coba Cocina added a sampling of warm, black bean dip to that offering. They also provide you with a passport style menu of their salsas – including a listing of ingredients and a heat/spicy scale. Coba Cocina advertises itself as a blend of Latin American cuisine – Aztec, Maya, Spanish, Baja Coast, and Mexican. They have an extensive menu selection including: Dinner, Lunch/Brunch, Tapas, Drinks, Desserts, and Kids. 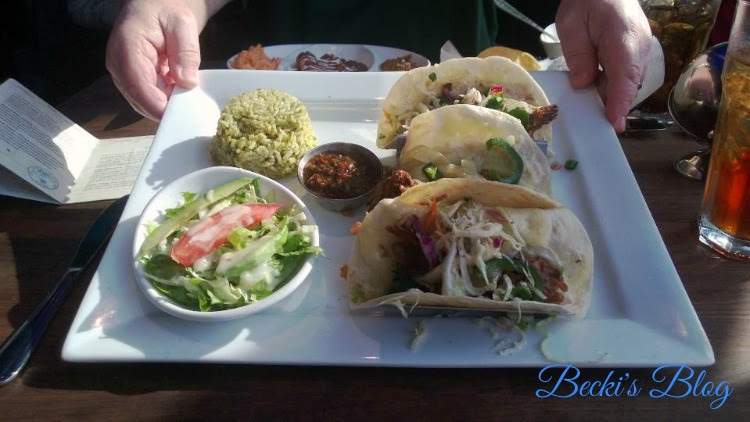 The dinner menu offers all the traditional Mexican dishes you would expect: tacos, enchiladas, quesadillas, fajitas, as well as steak, chicken, burgers, seafood etc. Some of the entrees seemed to have different flavors, ingredients, or garnishes; giving the dishes an unexpected twist. I chose the Brisket Tacos described as: “slow-roasted beef brisket, sliced poblano peppers and sautéed onions.” I opted for the flour tortillas. The dish was served with ensalada avocado and cilantro rice. The ensalada was nothing more than a spoonful of shredded lettuce, one tomato slice, two avocado slices and a drizzle of Italian?? dressing (which I thought was very weird). It was more like a garnish than a side dish. I would not have paid money for it, but you can order it separately for $1.50. The cilantro rice, was a mound of very bland, green rice. It does not compare to other Mexican restaurants’ “Green Chile Rice.” My tacos, however, were very good. The brisket was well seasoned, had a little drizzle of barbecue sauce, as well as grilled peppers and onions (fajita style). The tacos were finished off with some cole slaw which seemed to have a slightly Asian flavor (??) again, sort of weird for a Latin restaurant. The tacos were served with the chile de arbol salsa – which rates two stars on their heat/spicy index. I am definitely a fire-eater, but it was too hot for me. I ended up asking for a sample size of their avocado ranch to put on my tacos…much better! My husband’s meal was much less memorable. He ordered the Cheese and Onion Enchilada Dinner. The Enchiladas were served with a Chile Con Carne sauce which he said was very good. The refried beans and rice were not as good as some Mexican restaurants. 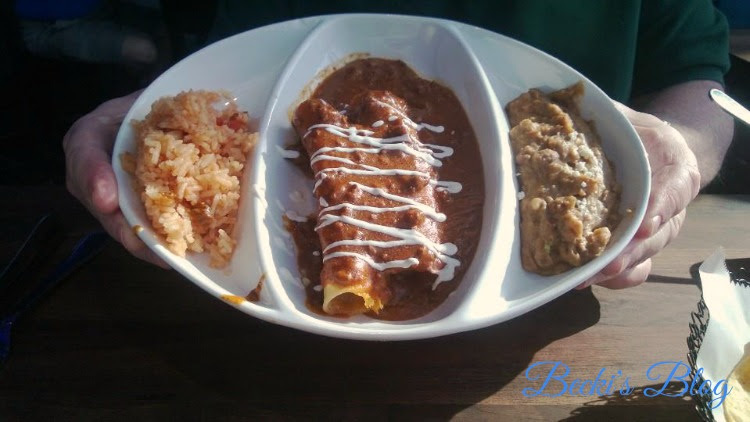 The enchiladas were so hard, he could not cut them with a fork, and could barely cut them with a knife. I am not sure if the corn tortillas were overcooked or just stale, but this is a pretty basic dish to get wrong. He also ordered a cup of tortilla soup as an appetizer. It was so salty, I don’t know how he ate it – I would have sent it back! Again, these are basic mistakes that a renowned chef and his staff should not be making. On the plus side, our service was great! The server refilled our drinks and checked on us many times during the meal. Dinner was $30 without tip. While the bakery/gelateria as a separate space inside the restaurant seems intriguing, guests cannot get dessert served at their table. They must exit to another part of the building, order, and pay separately, then eat dessert at a café table or take it home. This is a really bad idea. For one, the server will make less of a tip, based on the total check amount. Second, it forces diners to leave their table before they are really ready to go. Third, I suspect a lot of diners will not go to that trouble and thus the restaurant is going to lose revenue. We opted to visit the bakery/gelateria and see what they had to offer. My husband got a free sample of the strawberry gelato and pronounced it “not very good.” He said it was bland and had a grainy texture. Of course, since we had the real thing in Italy, it is going to be a difficult comparison for future gelatos to measure up! I chose a mini-cannoli stuffed with chocolate gelato. You could not buy just one – they were priced at two for $1.50. We opted to take them home in a box, but sadly, they melted before we got them home and so we did not get to eat them! Coba Cocina is all about the dining environment – cozy booths, the jellyfish tank, a cool tapas bar etc. Understandably, they are still new and working the kinks out of their operation. We will probably make a return visit in a few months. Let’s hope some of the basics see some improvement by then. 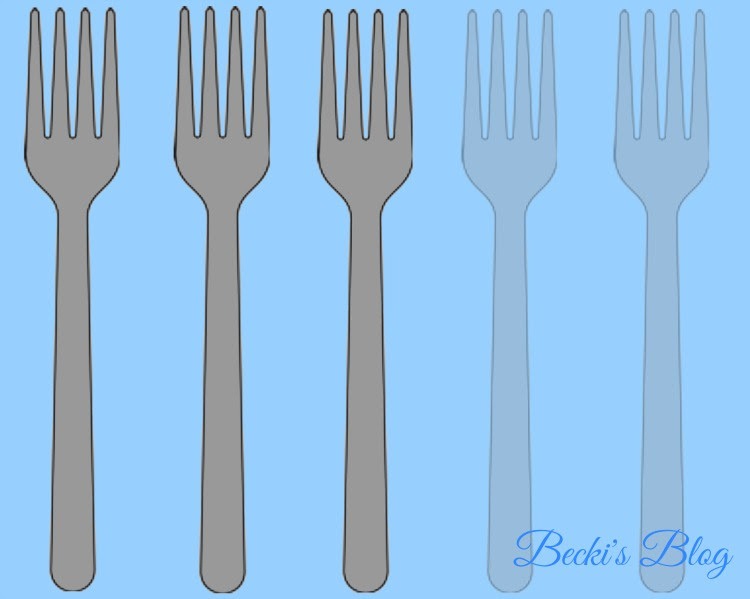 Gluten Free Options – there are several choices and they are indicated on the menu. 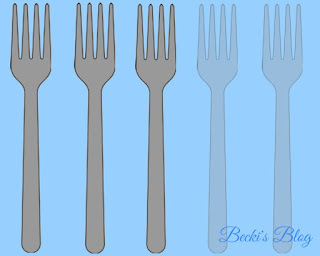 Vegetarian Options – there are several choices and they are indicated on the menu.